I joined Birchall Blackburn in 2002 and qualified as a Solicitor in 2011. I went on to be appointed a Partner in 2015. My areas of expertise include elderly client work, wills and probate, Court of Protection matters, and lasting powers of attorney. Qualifications and professional achievements: LLB (Hons), Legal Practice Course, member of Solicitors for the Elderly, junior member of the Society of Trust and Estate Practitioners, member of Private Client section, member of Lancaster and Morecambe Law Society. I have recently undertaken a series of talks for several Women’s Institutes in the North West, as well as a number of charities in the Lancaster and Morecambe area regarding wills, lasting powers of attorney and Court of Protection issues. Personal Accreditations: Solicitors for the Elderly (professional member) and STEP full member, Dementia Champion. How did you end up working for a law firm? I was given the opportunity to complete a summer placement at Birchall Blackburn in 2002. This experience gave me flavour of the legal profession and I returned to the firm each of my school term breaks to assist the Private Client team. 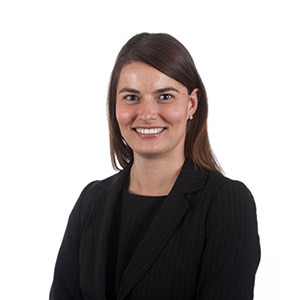 I completed my law degree and LPC before training with Birchall Blackburn and joining the firm as a full-time Solicitor after qualification. Unusual fact: I swam for the North of England Under-13 Swimming Team.